With a buffer, hot water tank or hot water module from HERZ you are never wrong! 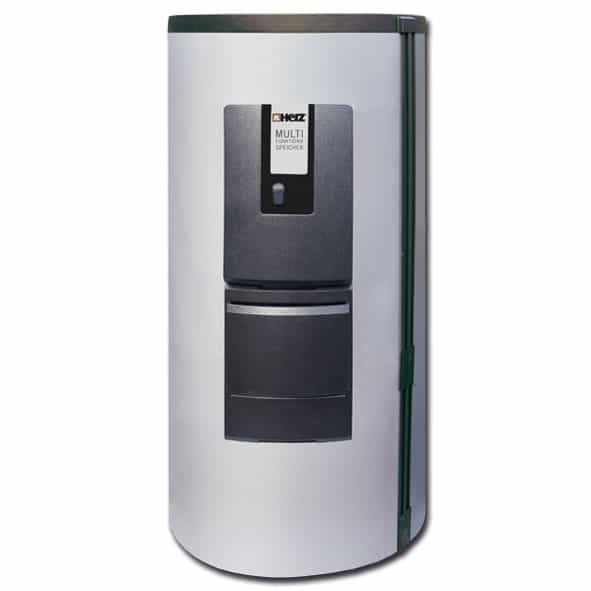 The tank has been specifi cally designed for combination with heat pump systems. This ensures an optimal energy utilization. Specially fabricated components (stration plates, infl ow defl ector plates, position of the nozzle etc.) and an intelligent construction characterize this high performance storage tank. Excellent part load and nominal load behavior is the result. For hygienic sanitary hot water preparation.